For an Airfare Survey Report, we will obtain the airfare prices from specific online travel agencies or directly from the airline’s website. We can also research combo rates for up to 5 websites, hotels, and/or car rental agencies if requested. (e.g. Airline/Hotel/Car rental or just airfare/hotel stay). You tell us which sites you would like for us to search, giving us the parameters that include dates of travel, whether those dates are solid or they can be moved, the number of travelers, first class or business, if it is for round trip or one way travel, both the departure and arrival cities, if we can look at surrounding airport locations for arrivals and departures, and any special considerations. We will give you all the options that are available and will note baggage or personal item restrictions if there are any. Many airlines charge for bags by weight, we will break that down for you as well, how many fly free if that is an option and what the charges are for the rest. If you have requested a shop that includes hotels or vehicles, please let us know any hotel or car rental agencies that are preferred. 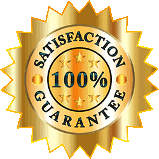 Our agent will pull up the website and enter your parameters. From there we will record the available options. (Times, flight numbers, length of flight, layovers, plane changes, terminal changes, airport names and codes.) When reporting on an airfare/hotel combo, we will add the hotel name, rates, and room types, along with any packages being offered at that time. When reporting on a Car rental combo, we will give you the options available with the type of vehicle and any restrictions listed, i.e. mileage restrictions. A completed report will be emailed to you in an excel spreadsheet. The general turnaround time is 5-7 days.